Pressure Treated Lumber at Big Creek Lumber. Pressure treated lumber has been used for decades in a wide range of residential, commercial, and industrial construction projects. The approved preservatives in pressure treated wood are specially formulated to protect against the elements and keep your home, office, barn, and other buildings safe, comfortable, and solid for decades to come. Pressure treated wood is the best option for a wide range of building applications. It is also required by local building codes for many types of construction projects. Our pressure treated wood is code compliant and backed by a limited warranty when properly installed. 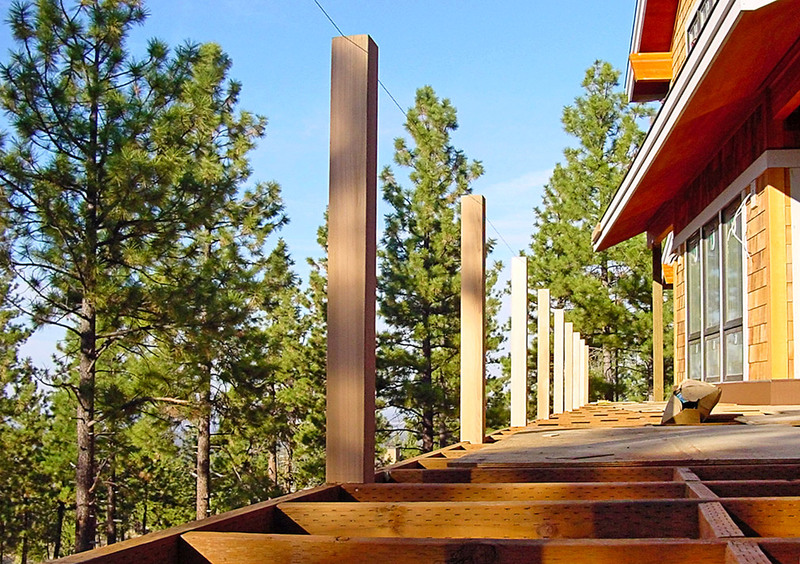 Pressure treated lumber is available in both ground contact and above-ground formulations. You should always check your local building codes for requirements and specifications before building. Pressure treated wood is an exceptional value when compared to more expensive building options such as concrete and steel. Its high strength-to-weight ratio makes pressure treated wood perfect for load-bearing, structural applications and it costs less than other options. Plus, because pressure treated wood is easy to handle, transport, and store, it also costs significantly less to install.